Why are Some Divorce Services $149 and others, $4,000? So why does the cost vary so much? 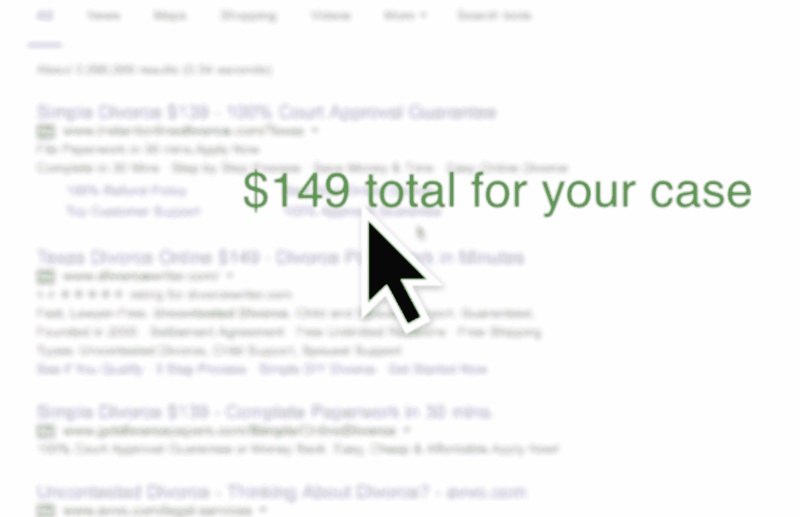 Many prices for divorce services advertised online are not from law firms. They are from “divorce form companies”. These are companies that are supposed to service your divorce, but do not have lawyers. The companies guarantee court acceptance and tell you how much money you will “save” by avoiding a lawyer. But, what you don’t realize when you are looking at these company options is what is not included in the service. The services run so cheaply because expensive yet vital parts of your divorce are not included. Most importantly, the final hearing where you actually get divorced, is not included. 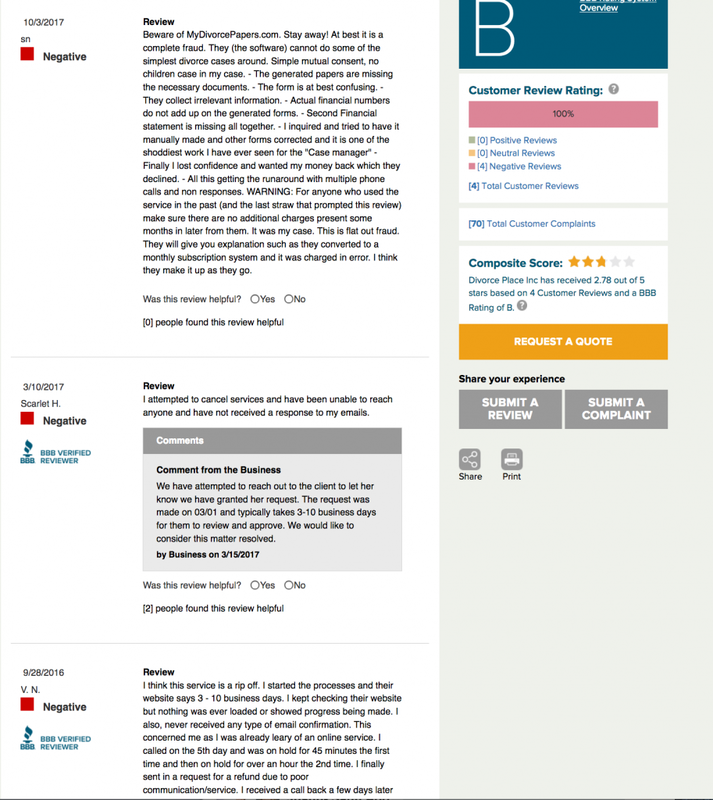 What if You Use a Non-Lawyer Divorce Company, Can You Fix it Later? Many people think that somehow the system will protect them. If they hire a non-lawyer company and later they need everything fixed, they expect that they can amend the messed up divorce forms. Wrong. If you enter final divorce documents, and finish your divorce, you cannot undo it. It is permanent public record. Appealing a divorce case is much more expensive than hiring a lawyer, and is usually unsuccessful, for numerous technical procedural reasons. 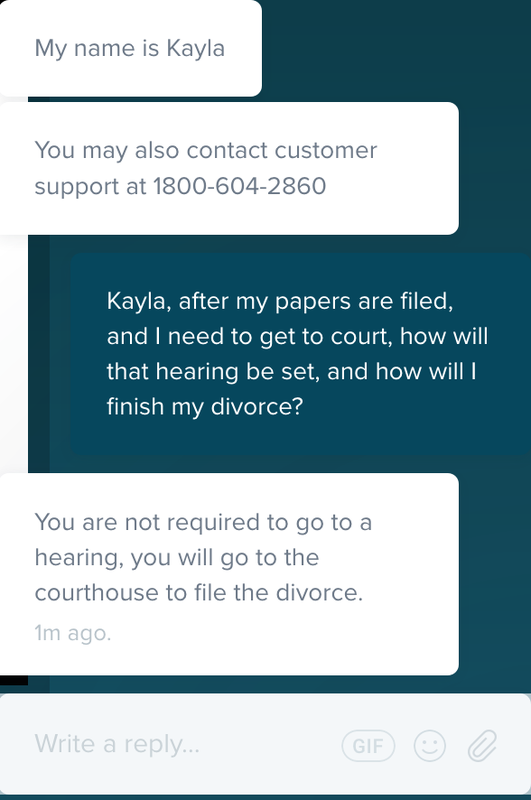 October 16, 2017 we went onto one of these simple “$149 divorce” websites, and asked the chat support how they handle their final hearing. Their answer was stunning: The girl actually advised me as you can see in the picture below, that I wouldn’t need to do a final hearing. She offered blatantly wrong information to me as a potential customer getting divorced. In Texas, a final hearing is required to actually be divorced. If you just send in papers to a Court, without a lawyer, you will not be divorced. This is so blatantly wrong! The final hearing is the most important day of your divorce case because it is the day where you go from being legally married to legally divorced. That this website is advising otherwise is plain scary. This particular company advertises that they have helped 1.2 million people. It begs the question for me–how many of them think they are divorced, when in fact they aren’t? But, to me what is worse is that sometimes people get through the whole divorce process with scam divorce companies, and then don’t know until years after their divorce, that something has gone wrong. They did not actually get the terms in their divorce that they bargained for with their spouse. No one ever checked. Form companies advertise that their forms are guaranteed for court acceptance–The court “accepts” forms whether or not you are protected in them. One client told me just last week she thought she was divorced, and then learned that she wasn’t, which is why she hired us to handle her case. Texas requires that you attend a final hearing in order to be divorced. Filing a divorce does not result in a final divorce. Filing a divorce just starts the case. Form companies do not explain that to people. Forms delivered to you in minutes, and ready to print do not get you divorced. The administration of the forms, and a final hearing gets you divorced. 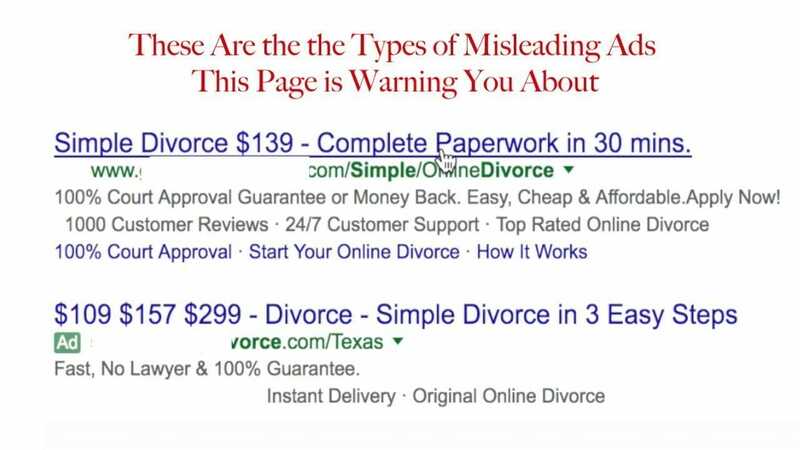 False and misleading advertising statements that you will commonly come across: that a divorce will be done in 30 minutes, or that it costs $149, or that the entire divorce is completed “online.” All of these statements are simply untrue. Your “case” will require governmental filing fees of about $300 dollars that are not mentioned in the $149 quote. Your case is not a case until you’ve filed it with your district clerk, which they will not do for you. You cannot complete your divorce online in Texas. You can get your forms online. If you have a lawyer, and an acceptable reason, they may be able to get your own appearance at the final hearing waived. Your lawyer will still need to go to a hearing for you. They say your divorce is going to cost $149 or $299, and they do not tell you about the $300+ filing fee. Your divorce with the filing fee, and without a lawyer is $449-$748. They say they complete the divorce for you. But, they don’t. They write the forms, and you do the entire divorce by yourself. The ads say their forms are “guaranteed”. The court will accept the forms, but that does not mean the forms will work to protect you as a contract. No one checks for protection and enforceability unless you have a lawyer. 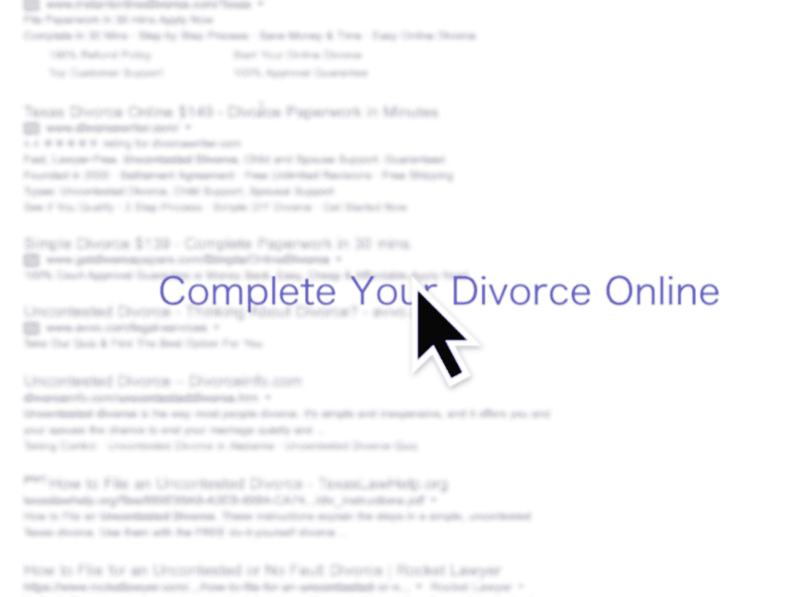 The ads say your “divorce is done online”. Wrong again, you have to go to court in Texas, but they won’t be there with you when you do. They say you get a “caseworker” which is a person with virtually any type of educational background– this is the person in charge of dividing your life. The ads are not regulated by a State Bar, so unlike with lawyer ads, the public is not protected from them, except for by common law and by the Deceptive Trade and Practices Act. 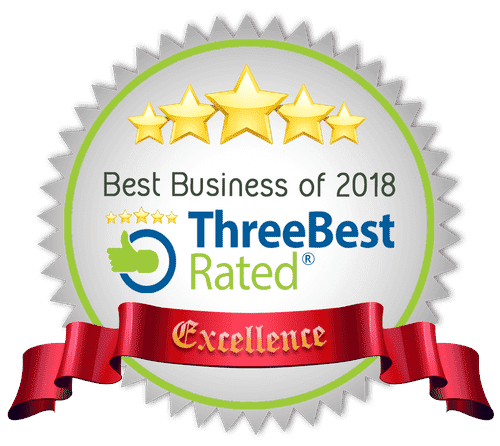 Many claim they have thousands of reviews, and they have 4.7 stars, but the alleged reviews are not with places like Google Business or Better Business Bureau where you can’t get away with faking reviews. The forms you are buying can be found for free. The full story that we hear time and time again from people that tried to get cheap divorces done online in Texas. You have a lot of time to drive to court 3+ times to file documents, meet with the staff attorneys, and go to a hearing. You don’t mind your divorce taking many months of work on your part. Your spouse has hired a lawyer to fight for him/her. Both you and your spouse want a divorce, and are both willing to sign the papers that we draft to help you get divorced. We would be honored to answer questions you have about this webpage or about getting divorced. If you have questions about this, call us. (210) 686-7622.